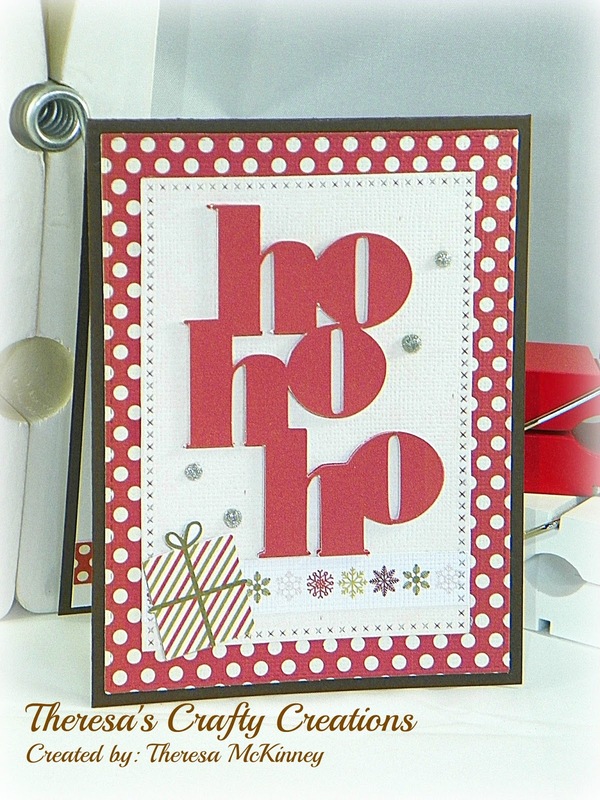 Such a fun card - love the huge ho ho ho and the cute string of snowflakes! Oh so very pretty!!! Love the papers and those great glitter dots!!! Very pretty my friend! I really like the Cross Stitched Card Mat Die. It is on my wish list. Love the pretty papers as well. This looks fabulous!! The oversized HoHoHo is fantastic - and what a treat that it all came together so quickly! Enjoy the rest of your week! I can't believe that it's Friday tomorrow!! Yay!! I have so much fun with that software. Love your card! You always add the cutest little touches! Awesome card! I love the oversized sentiment! The CAS design looks so awesome! Very cute card! Love that diecut sentiment! Love your card! Looks amazing.